Cusco, Peru is a historic city high in the Andes mountains. A popular tourist destination, Cusco is also one of the poorest regions in Peru. Something New is always looking for, well, something new. A new niche that our organization and army of committed volunteers can fill. A need just waiting to be met. We have found just that and would like to introduce our newest NEW — Nuevo Camino (New Path)! 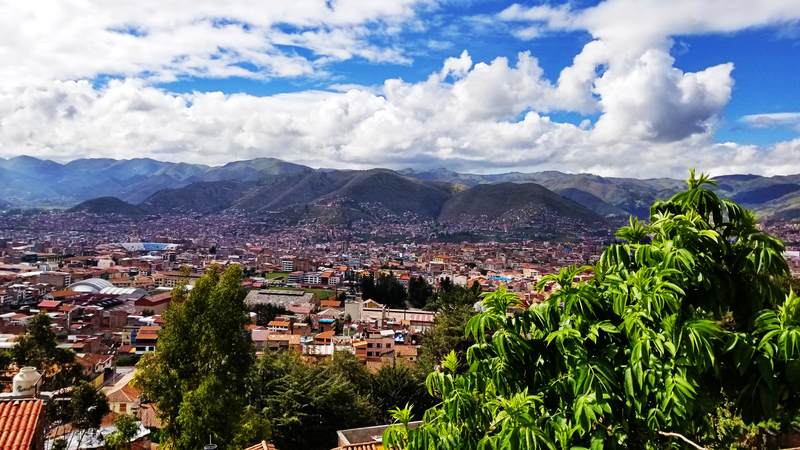 After some of our young volunteers spent a few months over the summer in Cusco, Peru learning Spanish, they convinced a group of our board members to visit the city to consider ways we may be able to help. The young students were struck by the poverty and struggle of the people, and were also blown away by their tremendous kindness, hospitality and rich culture. Early this year, the board members made that journey and after meeting a woman who runs a local shelter for women and children, the idea for the Nuevo Camino program was instantly born. Not because we love programs, but because we love people. There are few, if any, options for these women who have been victims of domestic violence after they leave the shelters, which can only help them for around three months. No program that we have found exists to help them transition, find jobs, find housing, develop skills and stay safe. They need community and a little support! “There are many around the world who need help and our team felt a deep connection with these women. They are the ones that came into our path. These women are fighters. They have a strong work ethic and a desire to grow and do whatever it takes to provide a better life for their children,” said Jason Armstrong, the recently named CEO of Something New. As an organization we are still learning a lot about the environment in Peru, and Cusco specifically. We are partnering with many local volunteers who are excited to have some partners in helping these women. The program will evolve over time, and we will certainly keep you posted! But the needs are immediate and we are kicking off the program by supporting five families who will soon be transitioning out of the shelter. We have already interviewed each mom for the Nuevo Camino project and assessed her and her children’s needs, as well as started a plan for each of their transitions. We will provide life coaching, help connect them to local resources, work alongside them to find work, and provide financial assistance as needed. We don’t have to be experts to dive in, but we are excited to learn more and to offer what help we can. If you would like to learn more or get involved, contact us.